I’m caught between a heat wave, a downpour, and now freezing weather. The azaleas and iris are gone, so I am left with our winter annuals for our Monday vase. 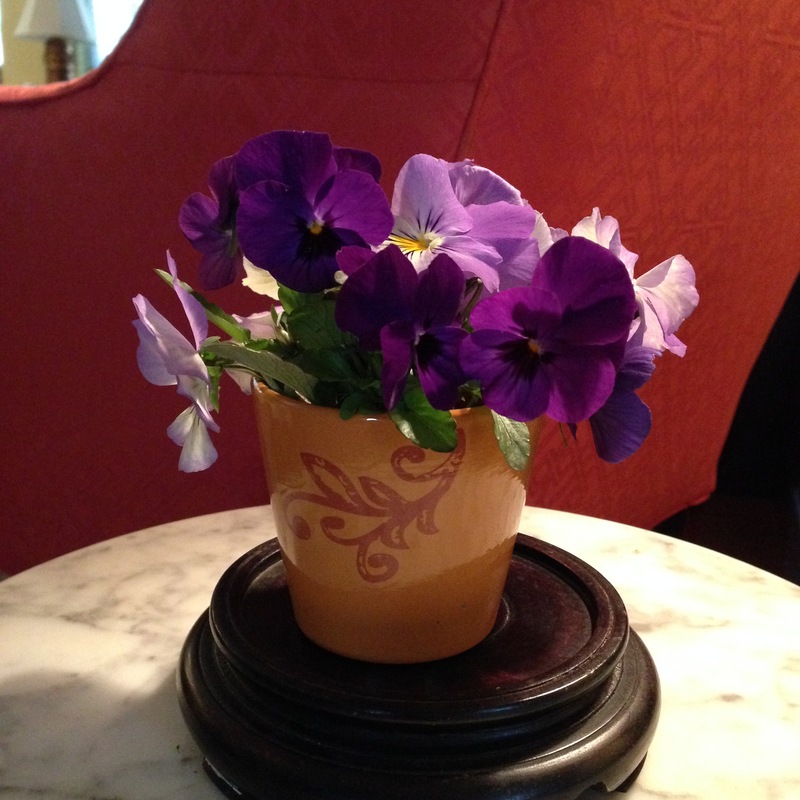 I decided to limit this week’s vase to violas. The pansies will probably make an appearance soon. I continue to be grateful to Cathy at Rambling in the Garden for introducing and hosting this meme. Please visit her site and see what she and others are sharing this week. Love them! I have a few flowering too, but something is nibbling at the petals! What would we do without violas? They keep blooming until smothered in snow. So very true, Jason. They are garden savior so here in the winter.